Have you got a startup with a global mind-set? 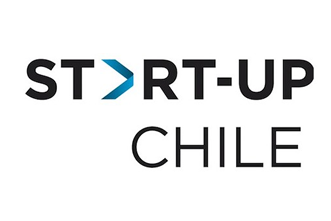 Start-Up Chile, the business accelerator run by the Chilean Government, invites you to apply for its Seed program 2017. Early stage startups with less than 3 years of existence can apply in the hope of receiving 30,000 USD in equity free funding for their business. In the past six years, over 1,309 founding teams have passed through the Start-Up Chile doors and have created a vibrant startup community in Santiago. Startups from all around the globe can submit their applications as the program is renowned for bringing together entrepreneurs from Chile and around the world. Selected entrepreneurs will become a part of the community and the immersive acceleration program for 7 months. The selected startups will receive 20 million Chilean pesos (USD $30,000), as well as an intense weekly schedule to accelerate their ideas. This schedule includes courses, mentoring, and pitch training, among other activities. In addition, foreigners will receive a Working Visa valid for a year to come to Chile. In 2016, Start-Up Chile was selected among the Top 4 Accelerators in the world. In order to maintain their positioning, they continue to look for talented entrepreneurs who can positively impact the local entrepreneurship ecosystem. Acceptance is based on the experience of the founding team, market potential, competitiveness and the advantages of development in Chile. Each application will be reviewed by experts in innovation, top tier investors and entrepreneurs, and the results will be released on May 5th. Funding accelerator, business, early stage startup, Funding, funding opportunities, startup. permalink.